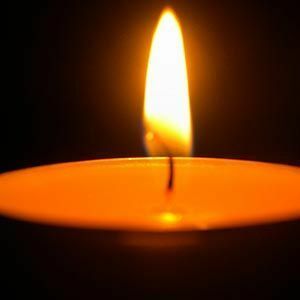 CUOZZO, Anthony R. of Reading, MA (formerly of Medford, MA) died on Saturday, March 30 at the age of 84 in the company of his family. Anthony was born in East Boston, the son of Peter and Rose (Fratto) Cuozzo. His parents and two sisters, Barbara (Guarino who is now deceased) and Carole (Pietrantoni of Wakefield) moved to Medford after his grammar school days. He is survived by his beloved wife, Joann. As a young man, he served in the US Air Force as a Airman First Class. He met Joann, while he was stationed at Lubbock, TX. They would have celebrated their 64th wedding anniversary on April 10. He was a devoted father to his daughter, Paula, of South Boston; his daughter, Laura and her husband, Rick Rooks of Dorchester; his son, Peter and his wife, Mary, of Westwood; and Rosanne (Rose) and her partner, Dori Senerchia, of Billerica. A great joy in his life was being grandfather of Brandon Rooks of Dorchester; John Cuozzo and his fiancee, Meagan Harris,of Newport Beach, CA, and Aidan Farley of Berrien Springs, MI. His great-grandson, Cameron Rooks of Dorchester, was a special happiness in his life. He is also survived by his brother-in-law, Preston Johnson of Sacramento, CA, and several nieces, nephews, grand-nieces, and grand-nephews. Anthony was a proud member of Pipefitters Local 537. Memorial gifts may be made to the Operation Rescue Fund, North American Heritage Association, P.O. Box 512, Rapid City, SD 57709; https://www.naha-inc.org/. This effort provides heating assistance to Native Americans in South Dakota, and 97% of the budget goes to direct aid. This model is being adapted by other Native communities. 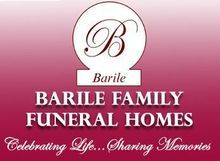 At the Request of the Family, All Services are Private.